Train like no one else, to play like no one else! The Valley Capitals 7v7 program powered by EForce will feature athletes from the greater Mid-Willamette Valley (Salem, Corvallis, Albany and surrounding.) Teams will be coached by elite EForce coaches, play against top competition and receive customized Adidas player packages. Athletes will be chosen by participating in the EForce 7v7 tryouts beginning in November. Register for the EForce Team App Here! Click below to download and sign up for the Team App. Schedule updates, game times and more will be sent directly to your phone. 1) Who is eligible to play for the Valley Capitals? Any athletes from Salem, Albany, Corvallis and surrounding areas. Current High School, 7th/8th and 5th/6th grade teams. 2) How are athletes selected? By participating in the EForce 7v7 tryouts starting in November. 3) Can I play 7v7 if I play other sports (basketball, baseball, lacrosse, etc.)? Absolutely. The EForce program is build around the Long Term Athlete Development model and we firmly believe all athletes should participate in multiple sports. Practices, tournaments and training sessions fit in the margin of other activities. 4) What is the EForce College Roadmap & Advocacy Program? The EForce College Roadmap and Advocacy Program is a collection of college contacts, information and best practices to help families navigate the recruiting process. We provide resources to athletes and parents on how to contact college coaches, plan academic schedules, create highlight tapes, and more. 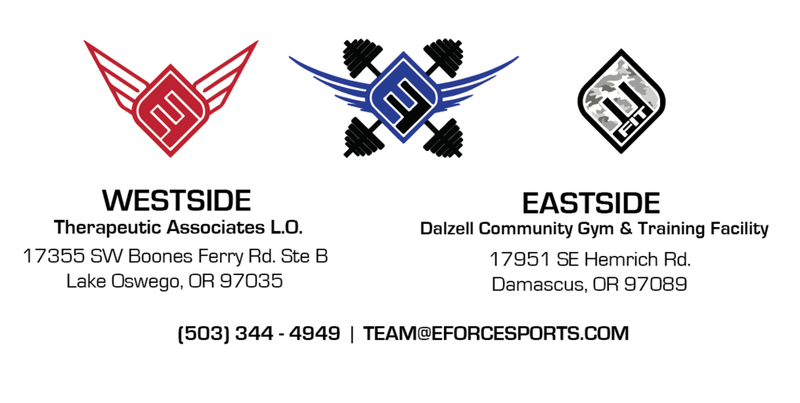 In addition, the EForce coaching staff has connection to college coaching staffs at all levels across the country and will help be an advocate to these schools for EForce athletes. Click here for more info.